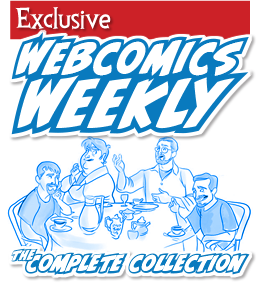 When Howard Tayler received cease-and-desist for his “Seven Habits of Highly Effective Pirates” comic (and accompanying merchandise), he sat with Webcomics.com for a Q&A of his handling of the issue. Are you a spammer? Here’s how to tell. 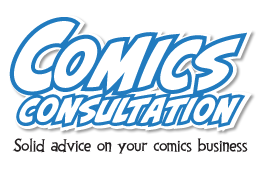 A member shared information on reducing your comic’s load time. 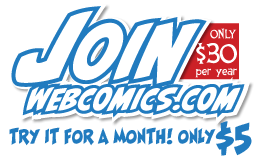 Noting air fare increases since Dec. 2010, Webcomics.com advised members to book their convention travel as soon as possible to lock in prices that were bound to increase over the course of the year. T-shirt tutorial: From spot colors to percentages of each size to order. You asked Scott Kurtz anything. And he answered. Will Disney/Marvel merger change comic-con commissioned sketch culture? Scott Kurtz, Robert Khoo and I announced a special meet-up after hours at Comic-Con. Empire City Marketing announced its services to help cartoonists with marketing and PR, offering such things as access to Zuda (which had closed shop months earlier) and Act-I-Vate (whose founder had never heard of them). I experimented with Scribol, and got some admirable results. Brand the comic or the cartoonist? Facebinks attacked the sites of several webcartoonists who use ContextWeb to serve ads. After the dust cleared, we used it as a learning moment.